Questions about linking symbol sets! 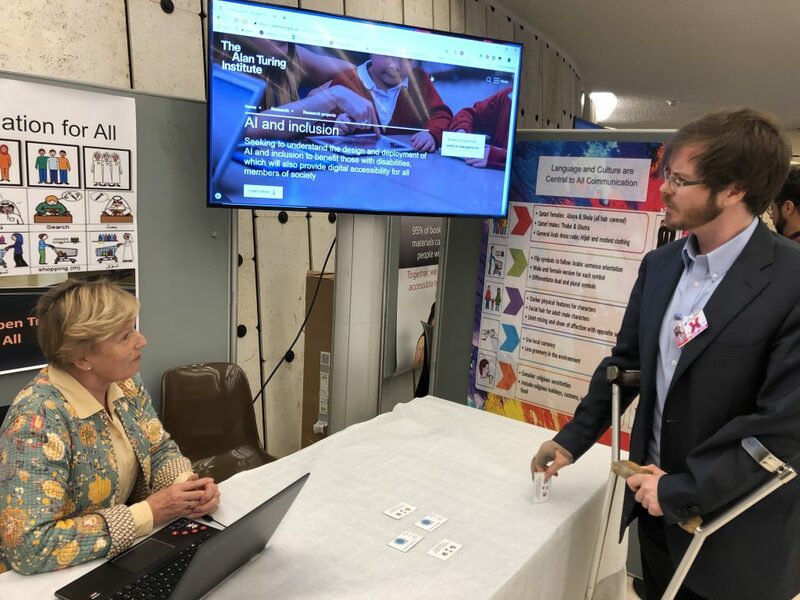 On March 7/8 2019 we had a stand in the UN E building during the 40th session of the Human Rights Council This meant we met many interesting people from around the world thanks to an invitation from UNICEF in partnership with the Permanent Mission of the Republic of Bulgaria and other International Organisations in Geneva. Compusult are working with the University of Hertfordshire to develop Kasper into an assistive intelligent robot to support children with social behaviour difficulties such as autism. Much research has been undertaken to show the impact Kasper has had on children and the most recent publications are available from the Robot House at the University. (EPFL) Swiss Federal Institute of Technology, Lausanne were showcasing some of their research into how technologies from eyetracking to robots could be used in learning situations supporting better MOOC design to handwriting. 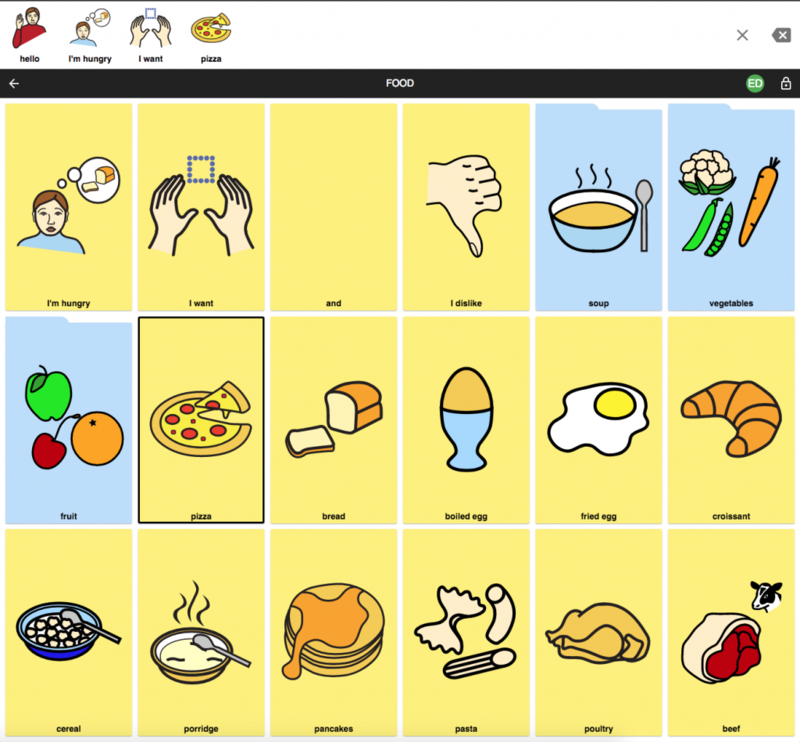 VerbaVoice has also been used in education to offer online interpreting for the live visualisation of language as captions and sign language. This helps those who are deaf and can be used for streamed language translations from the text provided. The use of the internet to access software for the designing of affordable 3D printed prosthetics was also on show with Prosfit based in Bulgaria and ProjectVive from the USA showing how it is possible to 3D print the hardware that makes any tablet a usable AAC device with mounting kits, switches and amplifiers. Finally Voiceitt was showing how speech recognition used with non-standard speech is possible . The system enables someone with poor articulation or dysarthria to turn their speech into text. 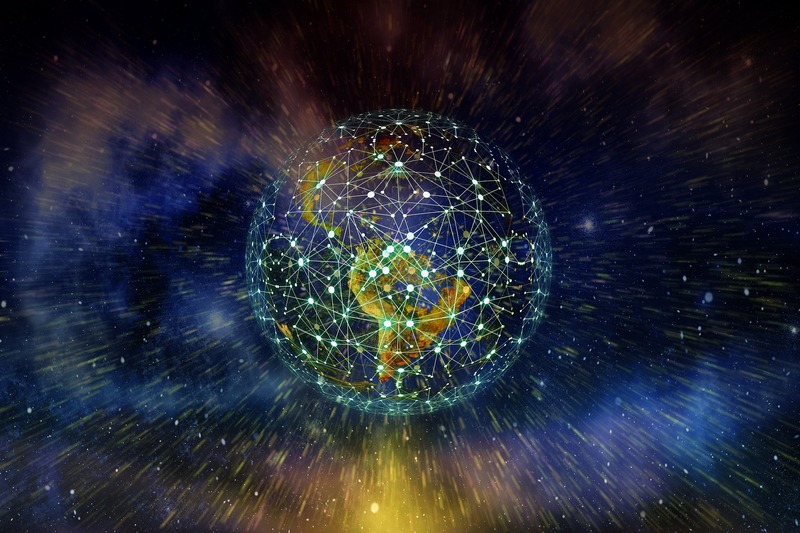 There are examples of beta testers using the technology that has been funded by an EU Horizon 2020 programme. "If we look around, whether you're looking at AI groups in companies, AI professors in academia, AI PhD students or AI presenters at top AI conferences, no matter where you cut it: we lack diversity. We lack women, and we lack under-represented minorities. Martin Ford interview for “Architects of Intelligence: The Truth About AI from the People Building It“"